This past Sunday I baked a ham, cheese & olive cake, that we ate on Sunday evening & on Monday evening. I shared a photo on IG and I was asked for the recipe, so here it is for you as well ! In a large bowl, mix the white wine & oil. Add the eggs, one after the other, mix in. Add the shredded cheese, mix in, the flour & baking powder, mix in. Add the salt, the ham pieces, chia seeds & lastly the olives pieces. Mix in well. Pour into a buttered & floured cake tin (long & narrow), sprinkle with some more chia seeds & put in the oven for 45mn at 190°C / 375°F. Check if the cake is well baked with the blade of a knife. You can eat it cooled down or cold. It's great for picnics & for taking for lunch in your bento box. It can be frozen once cut into slices. Goes very well with a salad or a bowl of soup ! The wine leaves a delicious flavour without being strong. My sons love it ! You can switch the ham with sausages cut into pieces ... you can be pretty imaginative with this cake. I hope you will try it, and if you do, please let me know ! I have not invented this recipe, but I'm sharing my own way to make it. A couple of days ago, I had a bunch of ripe bananas (like Harry Belafonte would say himself), and thought of a creative way to use them. I remembered I had seen such a recipe somewhere, so I whipped it right away. 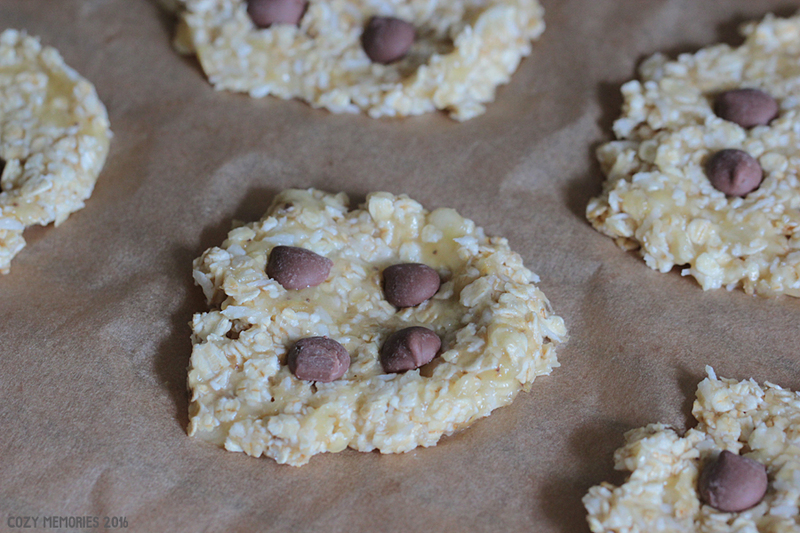 I gave the recipe a fun name so I remember it more easily : "Ba-bi" (BAnana BIscuits). The ingredients are simple & healthy. 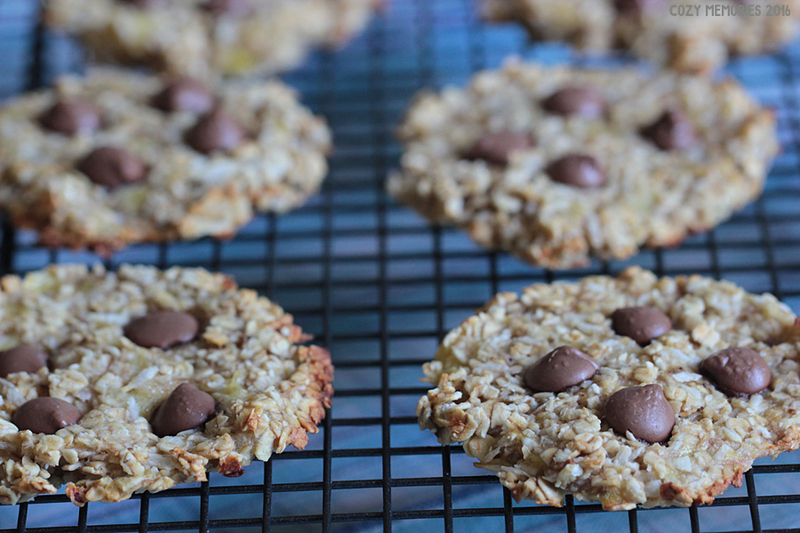 For this recipe I used (all organic) ripe bananas, thin-rolled oats, shredded coconut, and chocolate chips (you could skip them or replace them with sultanas). So my recipe here is a four-ingredient recipe. 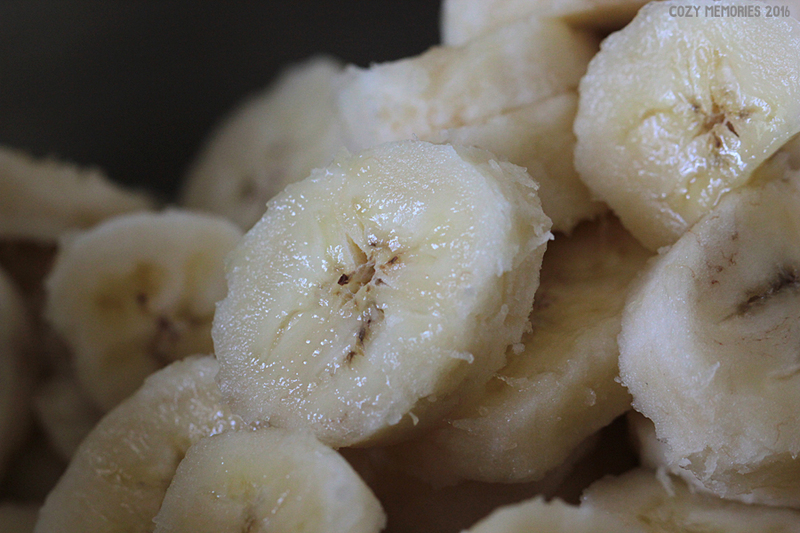 Rolled oats & bananas have many healthy benefits, which you can read about here and here. 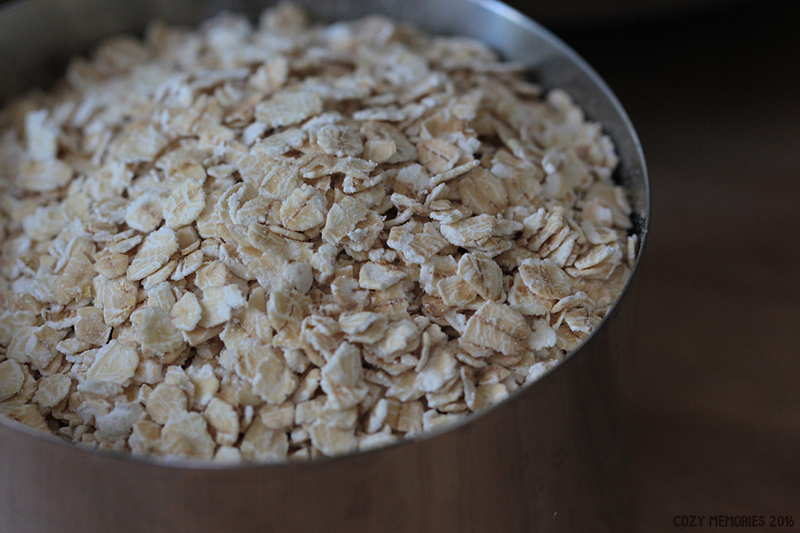 You should read this article about whether or not rolled oats should be considered as gluten free, if you are concerned. Preheat oven at 180°C / 350°F. 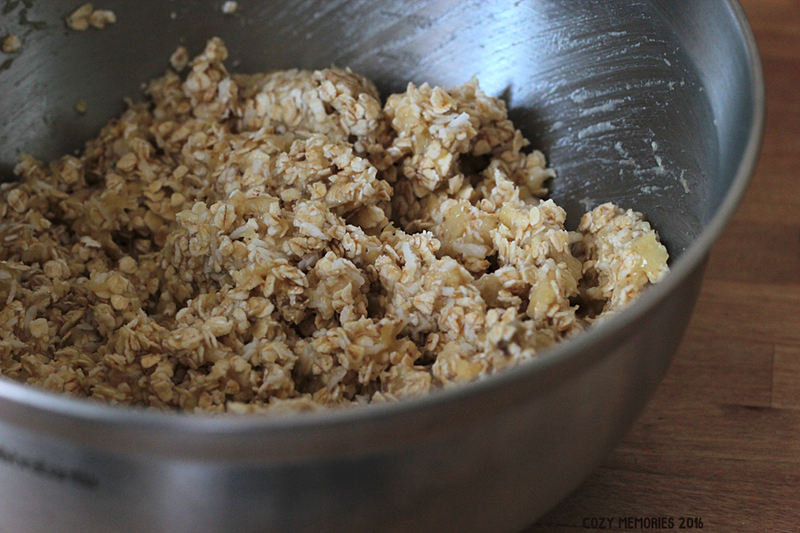 Add the rolled oats & coconut & mix in well. 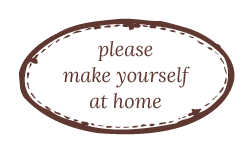 On parchement paper, place a tablespoon of mix & flatten to give a round shape. Gently press four chocolate chips on each biscuits. Put in the oven for at least 15mn. I let them for 5 extra mns because I found they were not baked/dry enough. They will be rather moist, not crunchy or dry, you have to be aware of that. My boys liked them, more than I thought they would. I was proud of them because they are really healthy, and does not really taste or look like shop-bought biscuits. I know I will bake them again ! I hope you'll like them too ! Let me know if you bake them too !